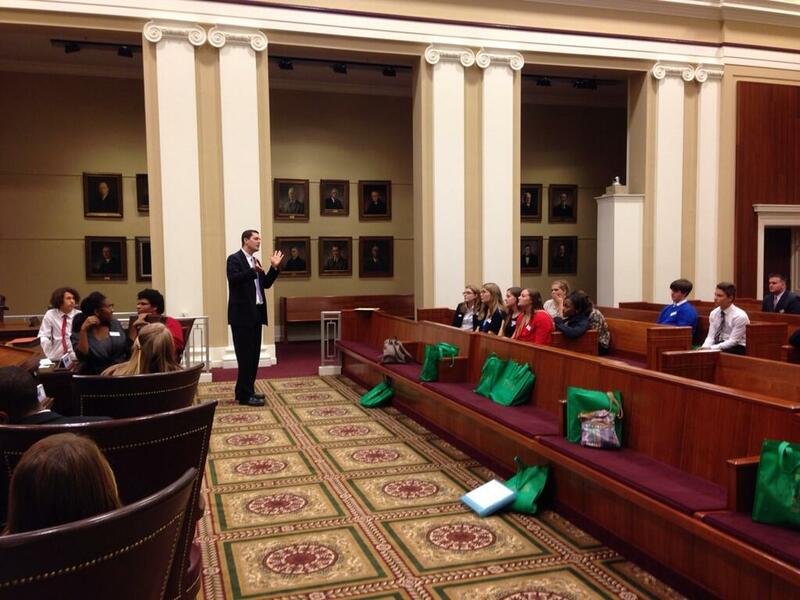 Tallahassee, FL – On November 12, 2013, Attorney Matt Liebenhaut led a group of 30 Tallahassee high school students in a Supreme Court advocacy exercise. The mock Supreme Court argument took place in the chambers of the Florida Supreme Court. The students were part of Youth Leadership Tallahassee (YLT). Attorney Liebenhaut spoke to them about student free speech cases and led the students as they played appellate lawyers arguing each side of a highly contested student free speech case. YLT is a year-long program bringing together a diverse group of high-school juniors from public and private schools in Tallahassee who have demonstrated leadership potential in formal and informal situations, and preparing them to become ethical leaders committed to active community involvement. Although Attorney Liebenhaut practices primarily in the areas of social security disability and family law, he has experience as Chief Justice of the Florida State University Student Supreme Court. “I gained so much from the time professionals volunteered in these types of activities when I was a kid, I jumped when I was asked to be a part of this exercise.” If you or someone you know needs a dedicated and caring lawyer to assist with a social security disability, family, or elder law issue, call the Law Office of Matt Liebenhaut at (850) 270-6977.